The stakes don't get much higher than this! Hell In A Cell is tonight and it's going to be a much better PPV than you might think! 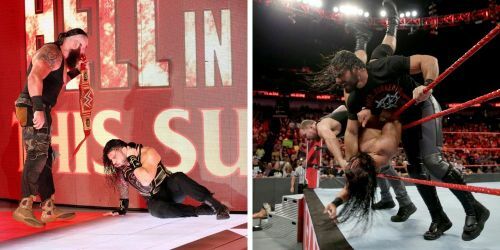 With only eight matches on the overall card (seven on the main card), WWE has made sure that they're going to focus more on quality of matches over quantity, as compared to SummerSlam which had a stuffed card. In a surprise move, WWE shifted New Day vs Rusev Day for the SmackDown Tag Team Championships to the Kickoff show. That's undoubtedly going to be a match that can deliver in a big way if given the time. They don't have any other company on the kickoff show so it's quite likely that they will. It'll be good fun to watch and expect a lot of antics with Aiden English and perhaps Xavier Woods, who may try to compete for musical supremacy. Either way, with The New Day fresh off a victory against The Bludgeon Brothers, the momentum is definitely on their side. Either way, Hell In A Cell is stacked and here's what you need to look forward to heading in. 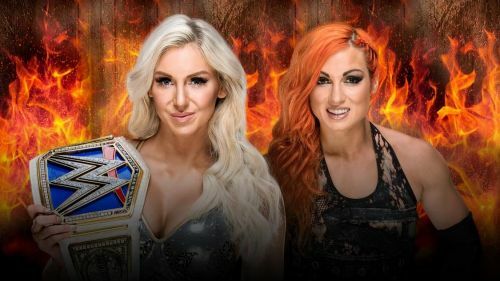 After Charlotte Flair snatched a victory and regained the SmackDown women's title at SummerSlam, Becky turned on her and has shown a completely different attitude since. She's been playing the mind games with Charlotte and getting one over her. Despite the change in attitude, fans seem to love it. But will it translate to capturing the title again? It's been over two years since Becky won the gold. Is it her time to shine or will The Queen prevail?